. 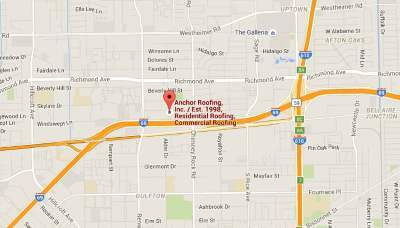 Roofing Mistakes | Anchor Roofing, Inc. If you are installing a new roofing system and you want to get the most out of it, two things will be vital for the outcome. If you are planning on getting most out of your roofing system, you will have to be careful when picking quality roofing material. Also, the roofing contractor that will carry out the work. Installing a new roof or replacing an existing one is not a small investment. We all know that errors in roofing projects are things nobody wants. The upside of installing a new roofing system is that you can opt for a material you always wanted. You can easily boost the curb appeal of your house by picking a beautiful roofing material. Imagine if you chose a beautiful material only to notice at the end of the project that some shingles on your roof are in different hue or shade. What went wrong? Well, you have probably ordered shingles from two different manufacturers, and you received two separate products. To avoid this, get all your shingles from a single manufacturer or dealer. Inadequate shingle installation is an awfully costly mistake to make. It can lead to a complete replacement of a brand-new roofing system. A common mistake your roofing contractor can make is to install new shingles over the old ones. Two layers of shingles are heavier than a single layer of shingle, and that puts additional stress on your roofing support structure. Another common mistake is that the roofer you have hired lacks a necessary skillsets. It is a mandatory requirement for roofer to install that particular roofing system. If he is not apt he might easily end up utilizing the incorrect installation technique. A roof is not a single unit. A roof is a complicated system made out of many different components that are all vital for your roof to perform as expected. When installing new roofing system, people often tend to neglect or just overlook proper attic ventilation. Ignoring attic ventilation may lead to ruined insulation which in turn can raise your energy bills and destroy your roof shingles prematurely. Nails can be tricky. If your roofing contractor uses them in a wrong way, he can drive them at a bad angle and they can rip the shingle’s mat. If you don’t replace those damaged shingles, it can cause leaks, and that is a very expensive things to repair. All of the things and errors we have listed above are the result of choosing a bad roofing contractor. Now that you are aware of some blunders, you can do your best to avoid them and to hire a great roofing contractor. If you wish to receive the best roofing service, contact your top roofing contractor in Houston, TX today. Your roofing system is safe in our hands.